In the late sixties Alfa Romeo's range of products consisted of the Giulia Super, Spider and GT Junior in the 1300 ccm class. All three models were good selling and designed to meet the 'taste' of the buyers. The three cars have already become collectors items and are admired for their combination of stylish bodywork and first class engineering. Although the Giulia series had such a success, Alfas marketing managers found out that there would be an additional market segment: Drivers in the 'younger segment', who expected a sporty, original and compact GT from Alfa Romeo. With this in mind the CEO of Alfa Romeo, Giovanni Luraghi, visited the Zagato booth on the 1967 Turin Motor Show. In order to reduce drag as much as possible the design needs to be streamlined. Compact size of the car to improve handling. Sporty driving results through lightweight construction, whereby stiffness of the body was important for good road-handling. Original styling in order to distinct the car from the Spider (Pininfarina-design) and GT Junior (Bertone-design). In choosing Zagato to design and build the new car, Luraghi was absolutely on the right track, because the four basic design features were the route Zagato was following since 1919. In the beginning of 1968 the first Spider platform was delivered to Zagato and Ercole Spada's renderings and design drawings were adapted to the platform. "A steel skin stretched tight over an engine"
Ercole Spada transformed the four design principles right from the very first sketches into what was to become the definite line for the Junior Z: An almost perfect wedge or as it was described by the magazine 'Modern Motor': A steel skin stretched tight over an engine. 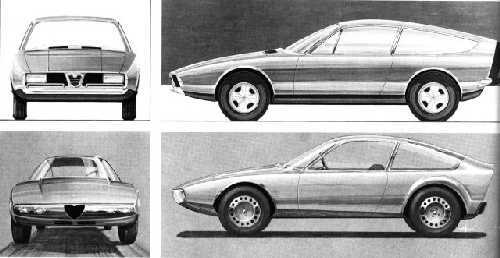 The shape was in some details similar to Spada's other creations like the Rover 2000 TCZ (1967), the LANCIA Flavia Supersport (1967) or the VOLVO 2000 GTZ (1969), the Junior Zagato however was of the most harmonious design. 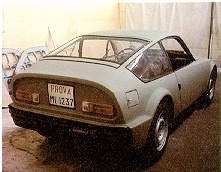 The tail section of the Junior Z was truncated like that of the TZ and picture of the prototype is showing the prominent lid which was abandoned for series production in order to reduce production cost. An electro-motor could be used to open the rear hood a few centimeters to improve the air exchange in the passenger compartment without the danger of sucking exhaust fumes into the compartment. Other revolutionary design features include the absence of chrome, the bucket seats with integrated headrests (not a standard in the early seventies), perspex covered front lights to reduce drag and the absence of front and rear bumpers (what you see at the front is not really a bumper but a XXL-size license plate holder). This actually is a step back in thinking because it makes the car extremely vulnerable for even little 'bumps' in day to day traffic. The first design of the front area with a smaller frame for the perspex and indicator lights on the frontbumper was even more vulnerable. The all-aluminum prototype was delivered to Alfa Romeo in July 1968 for road testing. 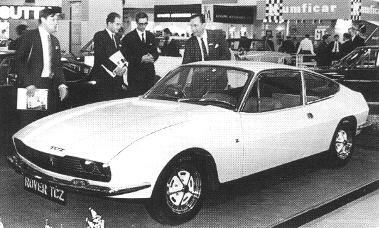 With the 1969 Turin Motorshow production had just started - until the end of that year 208 cars had been delivered to Alfa and official sales started in February 1970. 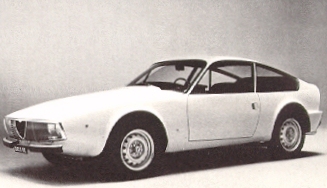 The Alfa Romeo Junior Zagato as presented at the 1969 Salone di Torino. Thanks to Hideki Nakagawa for the scans! However you count the number of units produced per year the total number of 1108 cars is remarkable because it shows that the success of the Junior Zagato was not really tremendous. 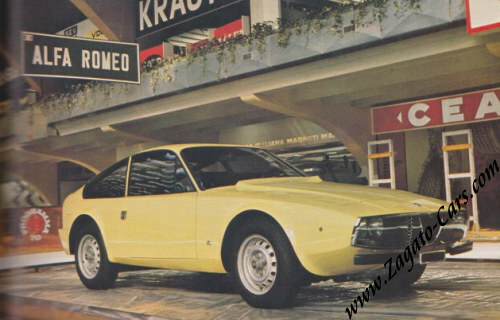 In the Maggiora plant in Turin the complete bodywork was done on purposely built special jigs. 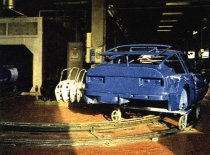 The complete body shells were then delivered to Alfa Romeo's Arese plant where they were primer coated. From there the bodies were then delivered to the Zagato factory in Terrazzano di Rho. Here the bodies were sprayed in acrylic finish and trimmed. Exit of the paint shop in the Zagato factory in Terrazzano di Rho. Trimming lines in the Zagato factory. Sprayed and trimmed bodies awaiting further completion. Alfa Romeo was very successful in selling Giulias and Bertone GT's, the Zagato was never in Alfa Romeo's marketing focus. In Germany there was neither an advertisement published nor was the Zagato subject to an article in one of the big motor magazines. Looking back it must be stated that the Zagato was never really loved by the mother Alfa Romeo. 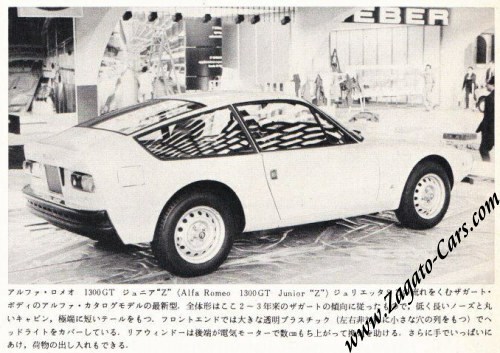 A privately prepared Junior Zagato during a rally in the '70s. 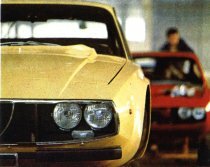 After 1108 produced Junior Zagato 1300 there was the successor: Giulia 1600Z, shown in Nov.1972 at the Turin Motorshow. Rear window - 1600 is having electrically heated rear-window. At the end of 1975 Alfa Romeo decided to stop the Zagato production. Until then only 402 Giulia 1600 Z had been made. The surviving Zagatos are very difficult and costly to restore because of undersupply of body parts. The whole body is very prone to rust due to the lack of rust protection measurements during production in the factory. Door sills are extremely rare and very difficult to copy because of their unique form.